Great location. Quiet comfortable. I liked the extra bed in living area. 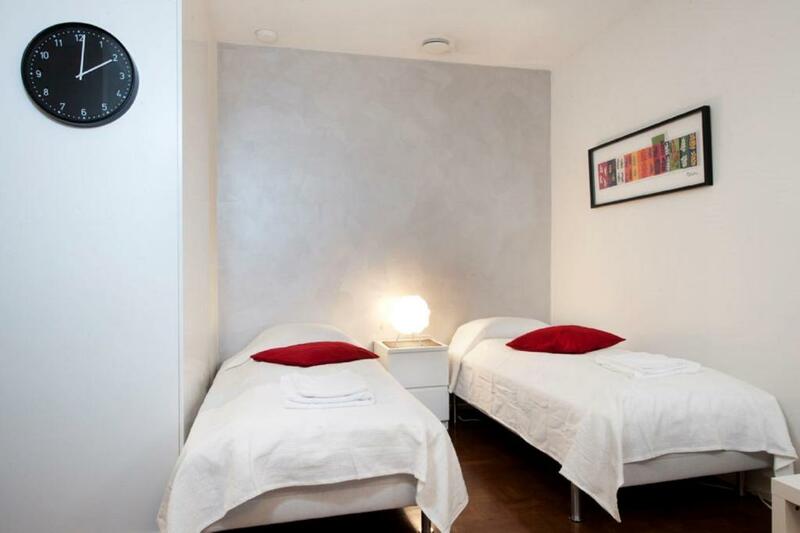 - nice location; - the staff is super helpful and was answering the calls even outside of their working hours; - the flat was super clean and had everything that you might need! Quite room. Great selection of things from the three supermarkets that were really close by (walking distance 2-3 minutes). Internet connection was reliable. General cleanliness of the apartment and building was good. I was not bothered by the neighbors, but found them to not so cheerful. Everybody kept to themselves, but were polite. Lift was good. Only one or two steps to negotiate. Key collection at RKioski was without hassle and efficient. Large flat with a nice view from the balcony. Used the sauna in the flat almost every day. Located 50m from 2 shopping malls. The location was excellent and the facilities very good - plenty of space, good washing machine and dishwasher. The balcony space was really appreciated too. The flat we got was the nicest I have ever stayed in. It was right in the city centre - 3 minutes from Koskikeskus. The flat was fully furnished with kitchen that haf a stove, microwave, coffee maker, toaster, plates, spoons, simply everything you could need. The living room had a nice sofa, TV and another bed. There was also a big closet in the flat. Everything was very clean and neat. It was like living at home away from home. Everything was fabulous! Stayed for 3 days on business and this was perfect. Gave me some independence instead of a hotel. We booked two properties and they were both great; airy and well located. Short distance to downtown and sights. We liked to have our meal at the apartment's balcony. We liked the quit location and the nice grocery store nearby. 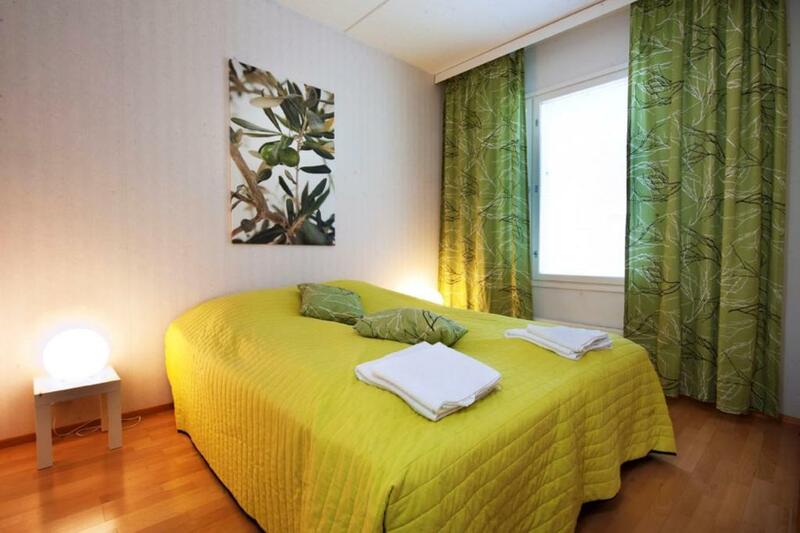 Lock in a great price for Kotimaailma Apartments Tampere – rated 9 by recent guests! Kotimaailma Apartments Tampere This rating is a reflection of how the property compares to the industry standard when it comes to price, facilities and services available. It's based on a self-evaluation by the property. Use this rating to help choose your stay! 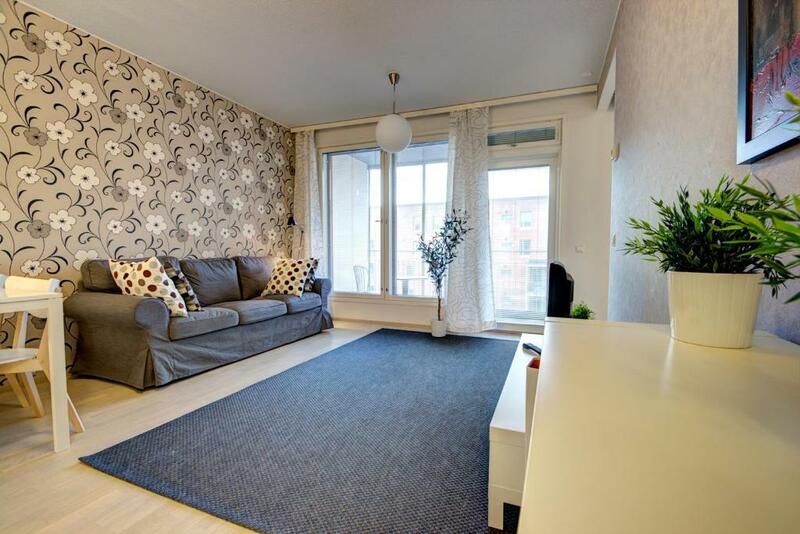 One of our top picks in Tampere.Kotimaailma’s apartments are located on different central locations, an easy walk from Tampere Hall and Central Station. All include a washing machine, flat-screen TV with cable channels and free Wi-Fi. 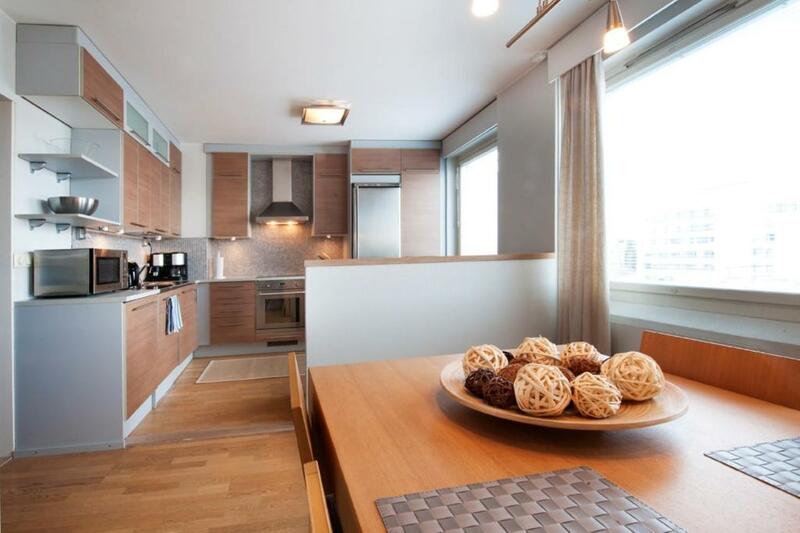 Each of Kotimaailma Tampere’s apartments features a fully equipped kitchen with dishwasher, a separate seating area with sofa as well as a dining area. Some have private saunas and balconies. 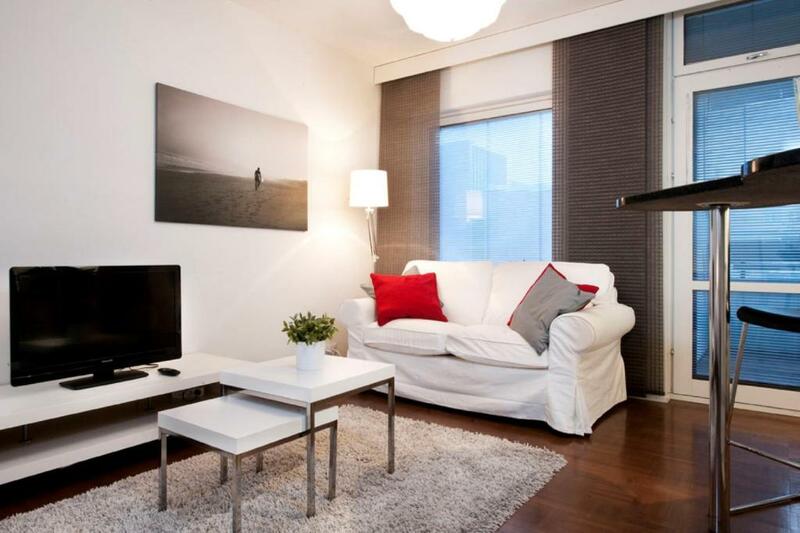 The apartment’s central locations provide easy access to dining, culture and shopping. Tampere's main street, Hämeenkatu, is within 15 minutes' walk of the apartments. This is our guests' favorite part of Tampere, according to independent reviews. 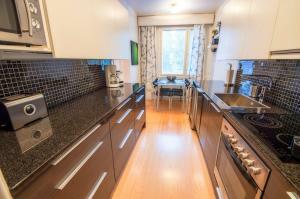 This property is also rated for the best value in Tampere! Guests are getting more for their money when compared to other properties in this city. 뀐 Located in the top-rated area in Tampere, this property has an excellent location score of 9.1! When would you like to stay at Kotimaailma Apartments Tampere? This studio includes a balcony, a living room with a seating area and flat-screen TV, and a kitchen with an oven, fridge and dishwasher. This apartment includes a balcony, a living room with a seating area and flat-screen TV, and a kitchen with an oven, fridge and dishwasher. Features a seating area, flat-screen TV and a kitchen with an oven, fridge and dishwasher. This apartment has a living room with a seating area and flat-screen TV. There is also a kitchen with an oven and fridge. 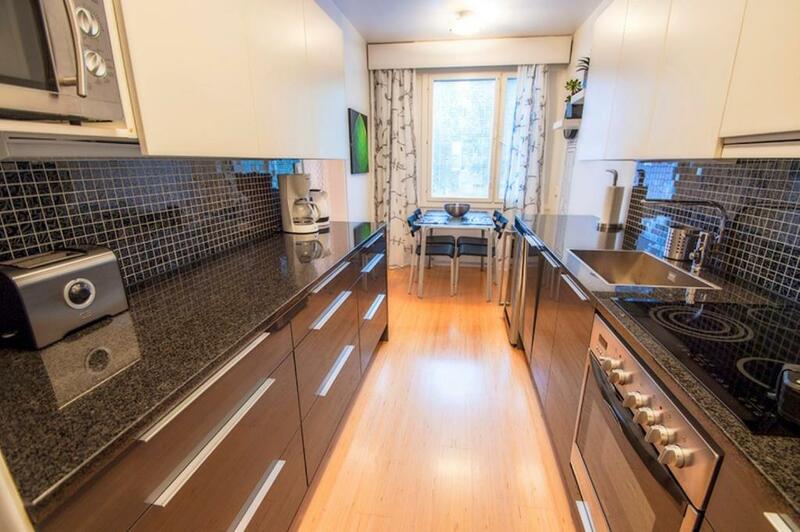 This apartment has a oven, dishwasher and kitchenware. Kotimaailma Apartments Tampere apartments are a high-quality alternative to hotel accommodation. Our apartments are located at various addresses in the city center of Tampere, within walking distance (max. 1km) of the main street Hämeenkatu. You will be informed about the exact location a few days before your arrival. Our comfortable apartments are of high quality and fully equipped and furnished. The central furnished apartments offer more than ordinary hotels. Besides a fully equipped kitchen and a washing machine, many of our apartments feature an integrated sauna and a generous living space. Feeling at home away from home! Kotimaailma Apartments is a well-established leader in short and long term apartment housing and offers a variety of affordable, clean, fully furnished and conveniently located apartments to suit those travelling for business or pleasure. We provide personalized service with the aim of making your stay effortless. Kotimaailma's staff is always ready to answer your questions about the city, including transportation or possible attractions and events. Our apartments are all located in the direct city center of Tampere, at a maximum distance of 1km from the main street Hämeenkatu. Tampere's main attractions, restaurants and shops can easily be reached by foot. Grocery stores can be found whithin walking distance from each apartment. As all our apartments are located in regular apartments blocks, Finnish common housing regulations apply in each apartment. House Rules Kotimaailma Apartments Tampere takes special requests – add in the next step! Free! Up to two children under 3 years stay free of charge in a crib. Kotimaailma Apartments Tampere accepts these cards and reserves the right to temporarily hold an amount prior to arrival. The office is open from Monday to Friday between 10:00 and 17:00. Kindly observe that guests arriving outside of office hours are subject to a surcharge. The exact address will be confirmed by Kotimaailma Apartments Tampere closer to your stay. Please note that there is a limited amount of long-term parking places available and they need to be booked in advance. There are also short-term roadside parking places near most apartments, but these are subject to availability and cannot be reserved. These apartments are located in residential buildings and guests are kindly asked to keep noise to a minimum. Please inform Kotimaailma Apartments Tampere of your expected arrival time in advance. You can use the Special Requests box when booking, or contact the property directly using the contact details in your confirmation. Kotimaailma – Tempellian Esplanadi 3A 59 There exists a separate contract to be signed, beyond that of Booking.com. This came as a surprise a couple of days before I was due to collect the keys. I find it a bit odd. Not clear if it really is a private residence, or if it is operated as an accommodation business that circumvents tenancy agreement law. The apartment had an "antiseptic" feel about it and was not homely at all. It had hotel-like amenities (basic with many empty cupboards) ...it is clearly not a residence as was led to believe from website. Rugs in hallway and kitchen area – need a non slip backing Shower grout was cleaned by me, but could do with a more intensive clean in-keeping with other cleanliness standard. Silicon behind bathroom basin is diss-colored and will get worse to become unsightly over the year. Can’t understand why there was no baking tray in the oven. This was quite annoying. Make sure you put the timer on to work the stove top! Got a picture of the apartment with bright colored curtains three days before my arrival, fortunately they were grey. The pictures that I were sent three days before my arrival were not accurate representation of what I envisioned I might receive. It is understood that you receive "pot luck" with the arrangement. I think that you will always receive worse than your hopes at the lower end of the availability. The window coverings in the apartment are not adequate for privacy. Everybody can see in as curtains are not the right size. Actually, the management have made do with one set from Ikea to serve as a curtain for one window and a curtain for another! An additional one more set of each curtain type is needed! Lighting is by very low wattage bulbs ..very yellow light and not at all bright. Oh, I placed a town map in English and some other helpful tourist brochures in the apartment folder. Cannot understand why I only got a map in Finnish when all my correspondence was in English! The twin beds were on the small side and too soft. Quiet, neat and tidy apartment, well designed, with ample storage space and attention to small details. Shower and sauna were lovely. There is a grocery store conveniently nearby. It has really been a comfortable place to stay. Parking the car was not easy. The extractor fan hood stuck out at head height which led to me banging my head twice in the first few days! No air conditioner. Very warm. WIFI cut out every 30 minutes. There was really nothing to dislike about the flat. Everything was perfect. It would be better if I found a few tea bags in the room. Nice apartment. View from the window. All good, nothing to complain. Hard to find the house number. Actually we did not find it at all.